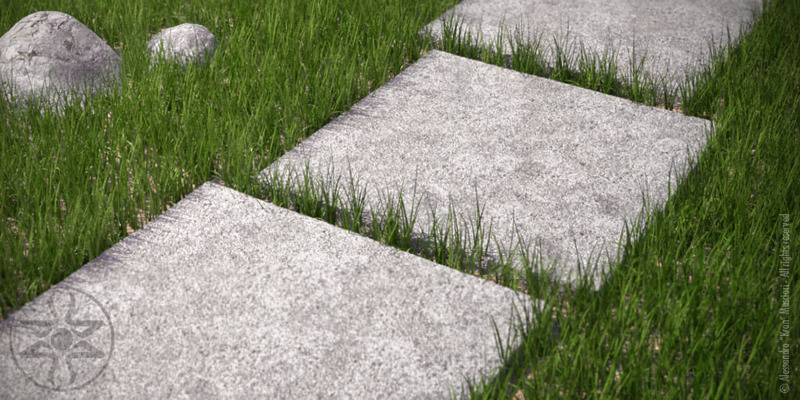 Modo Gears - Grass around objects. Replicator is an outstanding feature in Modo. It allows us to replicate one object thousand of times using a fractions of our computer resources. Modo offers many tools to replicate our meshes at will, but sometimes we need to use a small trick to avoid mistakes like interpenetration with other objects [I agree: the word "interpenetration" is a little intimidating]. This is one of the most cases: grass that grows around objects like stones, trees, tiles, scarecrows, mole holes, garden gnomes and so on. Yes, I know that Luxology gallery is not so exclusive, but this is the second work I posted in that forum and the second time I earn a place in that gallery, so it is encouraging. 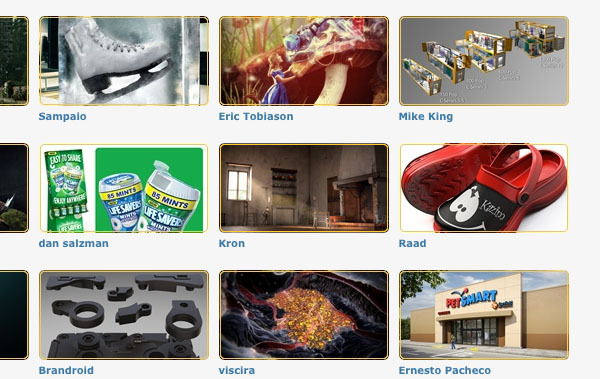 And I am also a Modo user, so Luxology gallery is much more important than many others, for me.